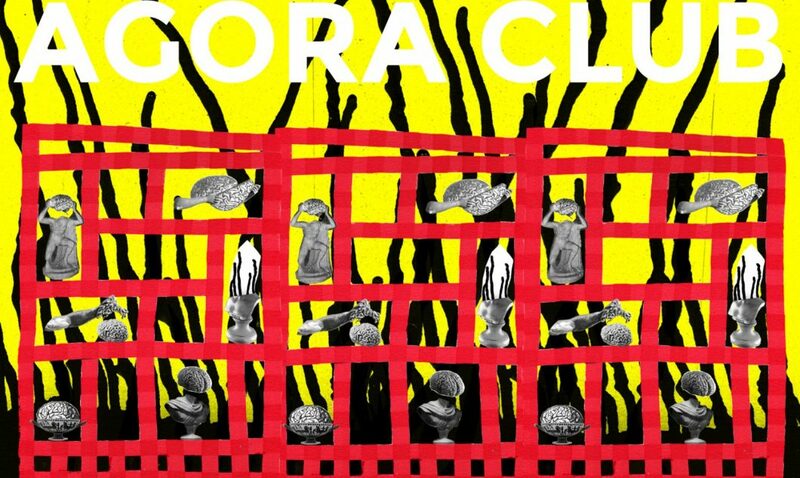 The University of the Underground presents AGORA CLUB, watch the videos HERE! For the first time, the University of the Underground opened the doors of the De Marktkantine nightclub in Amsterdam for an evening of deviance and converted the space into an arena for performing collective thoughts through music, dance, design, performances, and discussions. Guests inhabited the role of Homo-Faber’s (humans that think) and they navigated cognitive experiences, met trans-species while exploring various neurological landscapes before joining the collective act of party and celebration. In the Homo-Faber Speaks panel Cyborg Moon Ribas explored language with the Experimental Architect Prof. Rachel Armstrong, Neurobiologist Alexander Heimel, Magician Janse Heijn and Researcher and Critical Theorist Ramon Amaro. Watch the panel discussion in full through the link below! In the second panel Homo Faber Speaks the world-renowned performance artist/musician PEACHES discussed dreaming and nightlife with Science Fiction author Bruce Sterling, Mirik Milan (Global Night Mayor Advocate), Director of MU and STRP Angelique Spaninks (Board of Directors at the University of the Underground), Magic Magid – The Lord Mayor of Sheffield, Performance Artist Dianthus. Throughout the evening, various workshops took place, such as puppet making from the Experimental Architecture Group, Coca-Cola Bootlab by Hackers and Designers, Choreography of the mouth by Natalie Fyfe, Blue Gorilla by Moha Project, Hypno-Therapy with Joseph Scorselo and performances from the students of the University of the Underground and Jasmina Tešanović. Then followed by performances Sounds of Sisso ft. Bampa Pana & Makavel and Blinky Bill Music. The University of the Underground will be releasing some exciting news about AGORA CLUB 2 so make sure to keep up to date!